Our website (trackingshipment.net) is not affiliated with Pakistan post. 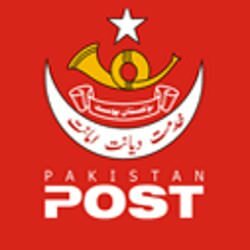 Please be advised that Pakistan post - tracking service has just been added to our service, and we haven't enough time to collect a lot of information about popular questions. At the moment all results are being represented without our correction. You can ask any question about it; we will find an answer to it. We will make a FAQ in the short time. If you are hunting for the best and well-working Pakistan Post track system, you will find it here. Our system enables you to find out where your package or letter is at the moment. If you are a customer of this company and send a package or letter via its services, you will be given a special tracking code. It consists of approximately 15 figures. It is unique to every delivery item. This tracking number is your chance to check the status of your delivery item online. You can do this, using any mobile device and access to the Internet. The Pakistan Post tracking system deprives you of the necessity to stand in queues at the post office to know whether your package is delivered or not. Now, with the help of the Pakistan Post tracking number, you will be aware of all peculiarities of the transit procedure of your consignment. You can be anywhere in the world. You can access this information in the online mode. Just insert the tracking code in the required field and press “Track It.” The result will be ready in a split second. There are such people, whose business or work is related to regular package or consignment deliveries. In this case, they hunt for a reputable and international tracking system, encompassing the information about all possible logistics companies. One of such systems is k2track. This system can be your reliable partner, allowing you to track any consignment within the comfort of your house. Besides, the Pakistan Post Track service is also included in its database. This is the main provider of postal services in this country. Besides, it has a long history, which dates back to more than 100 years ago. As the provider of postal services, it started operating in 1947. First, it was the Department of Post and Telegraph. However, later it separated from the Telegraph and became an independent company. This is the most developed provider of postal services in the country. Recently, the company implemented the Pakistan Post track service. By doing so, they simplified the procedure of tracking packages or letters. · Letter Delivery. To control the shipment, mail tracking service is used. · Payment for Utility Services. Except for operating within the country’s territory, this post provides the universal facilities together with the UPU strategy.